Nitto Avecia Pharma Services' in-depth knowledge covers a diverse range of products, from generics to opthalmics, as well as a wide variety of dosage forms and routes of delivery. Nitto Avecia Pharma Services' pre-formulation studies are designed with an anticipated formulation strategy, route of administration, and ultimate formulation configuration in mind. 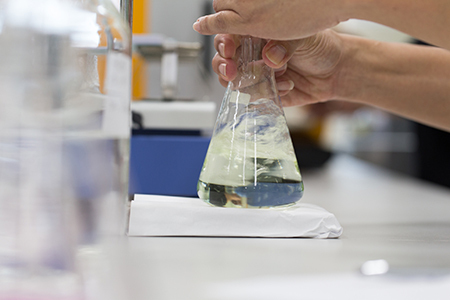 Our formulation experts unite a thorough understanding of your needs along with the data on the physicochemical properties of the compounds to ensure the delivery of a stable, high quality product. In addition to our formulation capabilities and complete CMC support, we also conduct the necessary analyses, container/closure compatibility studies and pilot batch studies required to move your product through the regulatory process.